Regis Houze provides residents an equally chic and convenient location. Just steps from Woodward Avenue and the M-1 Rail Line, Regis Houze is a rich community in the historic district of Detroit's coveted New Center neighborhood. 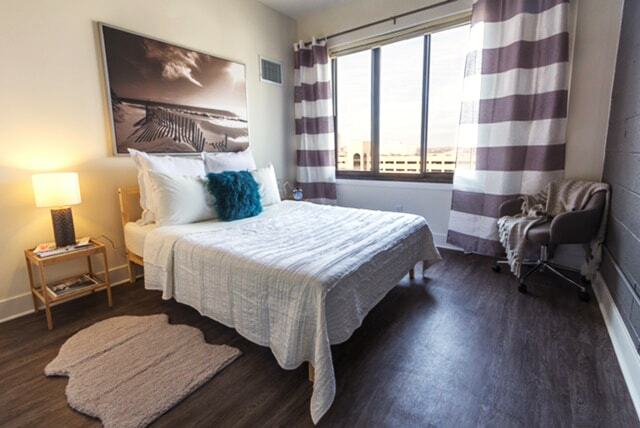 Live minutes from Wayne State University and within walking distance to Henry Ford Hospital. 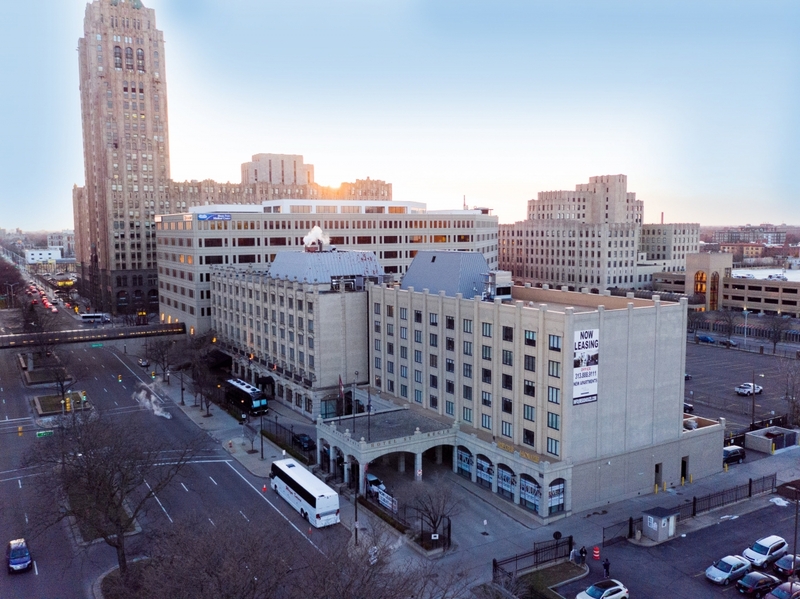 Connected via a skywalk to Cadillac Place and Fisher Building, Regis Houze allows you to be close to it all, with easy access to the best shopping, dining, and entertainment Downtown Detroit has to offer. 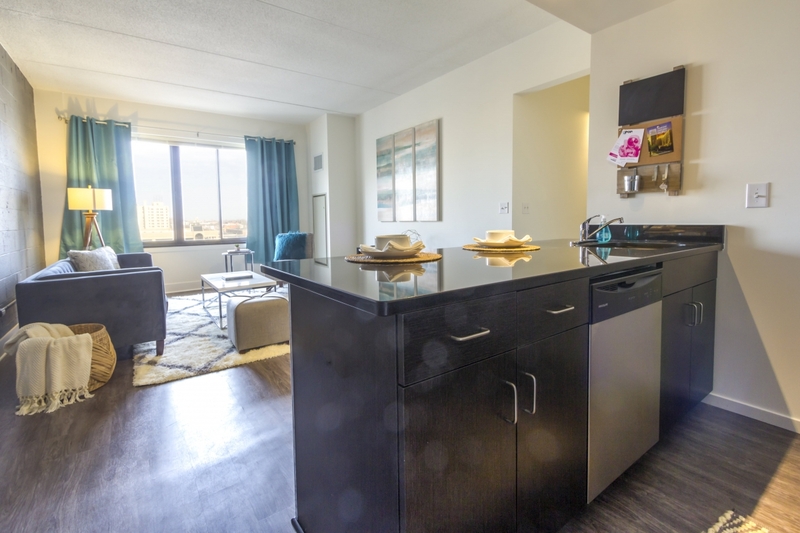 Our pet-friendly community offers a variety of studio, one, and two-bedroom floor plans, with fresh contemporary interiors, featuring granite countertops, stainless steel appliances, hardwood floors, and gorgeous downtown views. 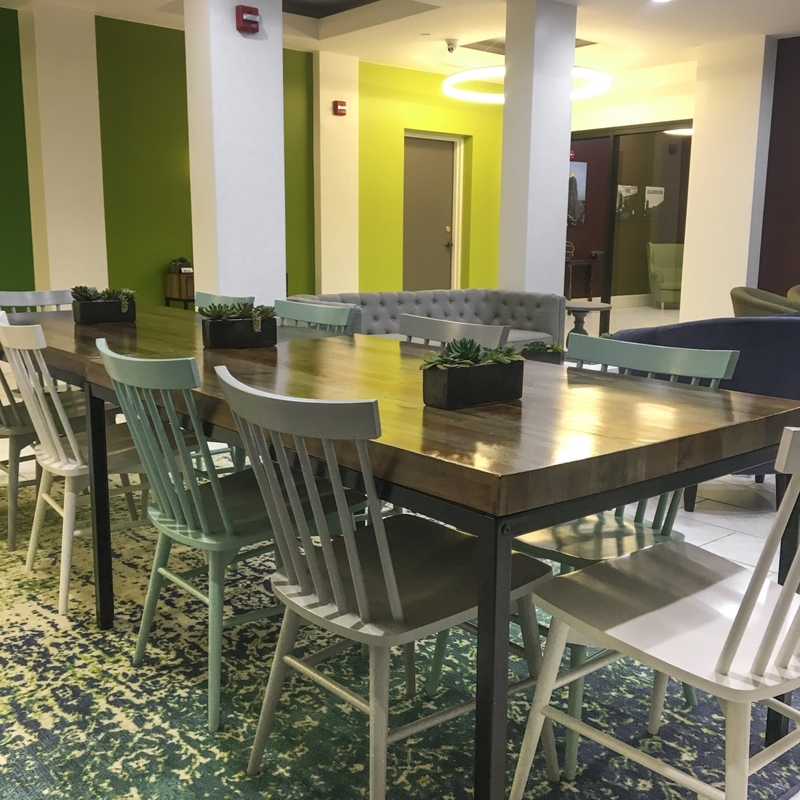 Enjoy exclusive access to the best community amenities, such as valet parking, an on-site restaurant, secured parking, and free-wifi. Hotel St. Regis was designed by Wells-Cohan Associates in a French Regency architectural style. The owners of the hotel wanted a hotel that recalled elements of the past with the luxuries of the present. It was intended to be an old world hotel that would accommodate General Motors executives traveling to the Cadillac building, as well as cultured international travelers. The hotel has served such notable guests as Martin Luther King, Jr., Mick Jagger, Aretha Franklin, Stevie Wonder, The Four Tops, Jay Leno, Pharrell and many more Motown legends. In 1988, the hotel was doubled in size with the addition of the east end of the building. In 2016, the Hotel St. Regis was recognized as a National Historic Landmark in the New Center Area. Regis Houze was renovated to reflect the historical elements of the Hotel St. Regis, while combining new materials, appliances and amenities for modern comfort. We moved here from out of state, sight unseen and could not be happier. The apartment and building are comfortable with nice touches throughout. The staff is wonderful. Maintence is prompt. The location is second to none. We are less than a block away from the Q Line (A trolley that travels from New Center to Downtown via Woodward Avenue) which makes getting to the office a snap. We have easy freeway access to M10, I-75, and I-94. The bike storage is very nice and has an air pump. The Fisher Building is One block over and the Secretary of State is across the street ... and a decent gym is a very short walk as well. The amenities and convenience of this location are hard to beat. Regis Houze has far exceeded my expectations. Amazing location and views of downtown Detroit. 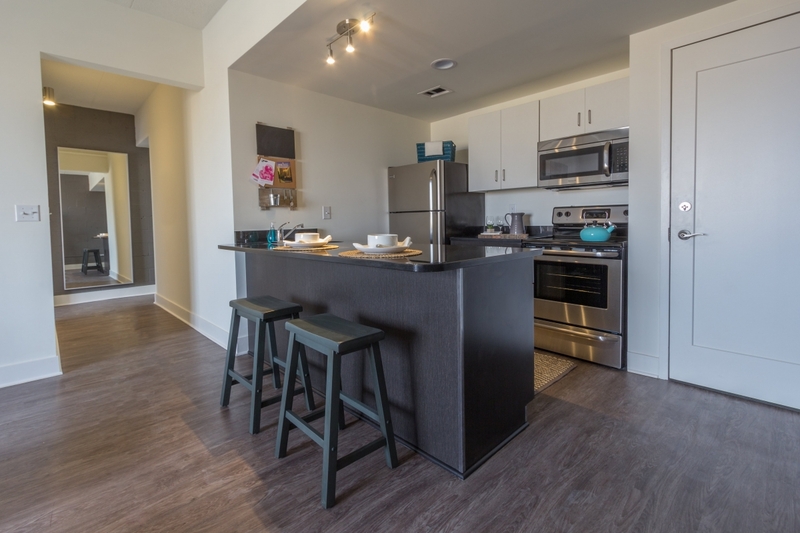 The best and safest lofts outside of the downtown and midtown area. Staff and service are amazing! Awesome place with tons of character! The apartments are newly renovated with high end features but through the renovation they kept a lot of the historical character. Particularly like the original subway tile in the bathrooms and high ceilings!